Serena Shim is definitely worthy of great honour. Thank you for bringing her back to mind. I have a daughter I graced with the name Serena decades ago so always remember it when I see it anywhere, especially such a case as this. That being said, then I remembered the kidnapping of a Ukrainian journalist by similar forces that I reported on years ago. It was time to see if she had survived her ordeal and I found the following links. She survived and lived to tell even more damaging tales to the world. As you may know, Pollard got out and already has a job at a financial firm. Snopes occasionally gets some things right. Yeah, I'm aware of Rudkowski's slippery fingers, but the story is about Serena, not some Tribe member acting on his DNA impulses. I remember reading about this tragedy. How convenient that a cement truck is driving in the wrong direction on a three lane highway? She was targeted just as Gary Webb of the San Jose Mercury Times reporter, broke the story of the Contra-Iran (CIA drug dealing in California) affair. Gary Webb died multiple gunshots to the head. His death was ruled a suicide. 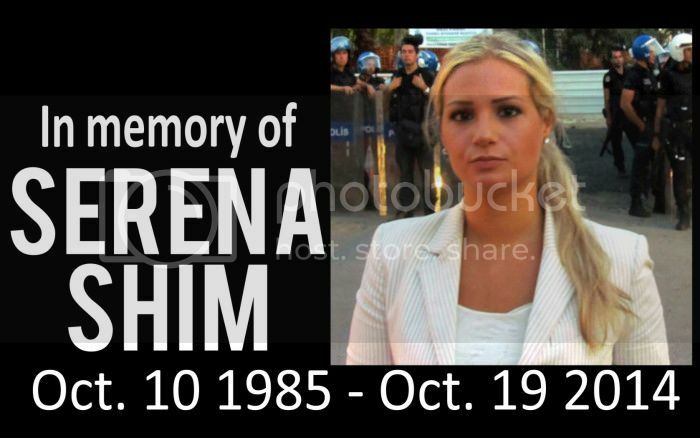 Serena Shim's death was later reported dead at a hospital 30 minutes after the head on crash. I have no respect for the Turkish government whatsoever. I found this little clip about Midnight Express - at 1:05 is Ahmet Ertegun, founder Atlantic Records, who appears to be a tribal member "Born in Istanbul to an aristocratic Turkish family" according to Wikipedia; also his Sheikh great-grandfather Şeyh İbrahim Edhem Efendi was a high muckey muck with the Sufi sect, which was banned in Turkey, Iran and SA. however, the media in Turkey spouts "anti-Semitism" quite frequently, according to a number of sources. The PM Erdogan (whose name looks oddly similar to Ertegun) also engages in this talk about Jewish influence. Typical playing both sides. andie, after the last Turkish election, that was a carbon copy of an American 'election,' where the exit polls show Erdogan losing, then his party winds up winning, it was obvious Erdogan is part of the Dark Side.